Why Choose Replacement Canvas Products from Ameritex? Your boat is an investment. You put a lot of work into maintaining it. You both want and need the increased level of protection provided by custom-sewn, precision-fit canvas products manufactured by the same people who made your boat’s original top or cover. Boat owners, like you, put so much into their vessels because it provides a lifestyle. A valued pastime that allows them to get away and enjoy their time off in a way that non-boat owners do not. But it comes with a cost. Boats aren’t cheap. They require hard work and hard earned money. A generic, off-the-shelf boat top or cover might be cheaper than replacement canvas products from AmeritexDirect, but, as the saying goes, “You get what you pay for.” Ameritex products are made from more durable material and fit more precisely, both of which help your boat last longer. Superior design and engineering mean less potential damage to the interior and less wear and tear from the elements when your boat isn’t being used. Or, when you are out on the water, it means better protection for you and your family from harmful UV rays. 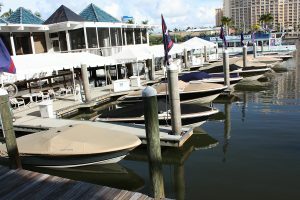 Between blood, sweat, and money, you’ve already spent so much on your boat, why cut corners on the one investment that can help protect everything you’ve already put into it? Fill out our form. Start the conversation. Pay a little extra for the peace of mind that comes with knowing you’re doing everything you can to make this lifestyle last as long as possible, and keep it in the best shape possible. Don’t throw money away on a less effective solution and put the longevity of your boat at risk. Buy the level of boat cover that you and your craft deserve. Buy AmeritexDirect replacement canvas products.